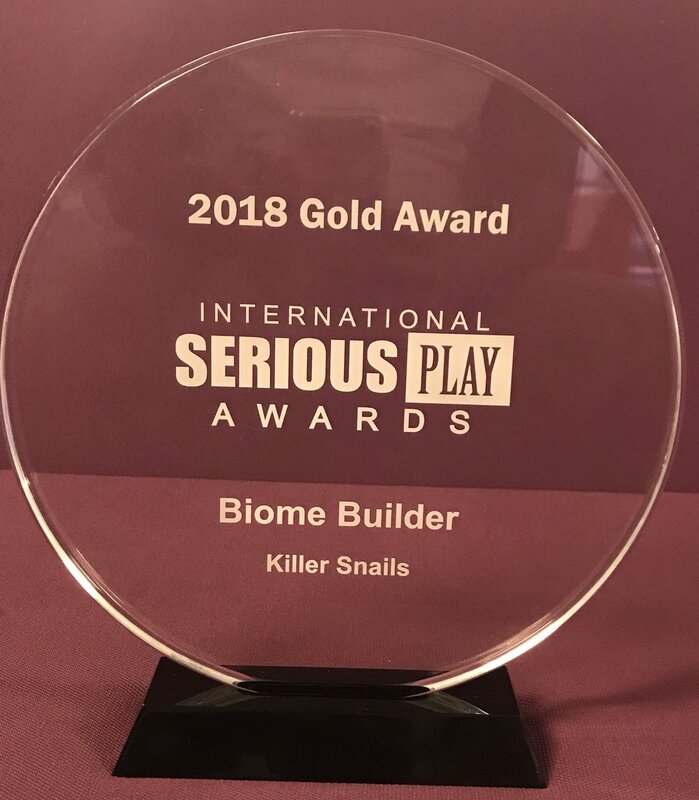 Earlier this month, the Killer Snails team had the opportunity to show off Biome Builder at the Serious Play Conference in DC. As the Serious Play Gold Medalist in education we were thrilled to play Biome Builder with the attendees at the game night. We also had the pleasure of meeting many of other award winning game developers including the teams at Catlilli Games and Box Games. Both these companies won medals for their educational games- Box Games won for their history game Mill Makers and Catlilli won for their game Crazy Cats. We had the opportunity to play Crazy Cats which is a great game that demonstrates how genetics works while getting to draw some crazy cats. We also had the opportunity to play Biome Builder with some wonderful kids, parents, designers, and educators. Our Chief Learning Officer Dr. Lindsay Portnoy also spoke at Serious Play about how to partner with cultural institutions as game developers. Working with cultural institutions such as the American Museum of Natural History or the New York Hall of Science can be a great way to develop new games or places to test and iterate on design. After the talk, the team had the opportunity to chat with cultural institutions like the Ford's Theatre and National Geographic. Thank you, Serious Play, for putting together such an informative and engaging conference! We are always happy to share our games and work, and this conference was a great opportunity to meet with like-minded people and share ideas on how to improve not just our games, but also society as a whole. Older PostNational Science Foundation Video Feature!